First Time Homebuyers, Think for Yourselves! This is a guest post by Lynnae of Being Frugal. If you like what you see here, please consider subscribing to her RSS feed. The buyer was a single woman who wanted the best quality in a house, but didn’t want to spend a lot of money. She knew exactly what she wanted and how much she wanted to pay, and she wasn’t willing to budge much on either issue. The property expert seemed nice enough, and she was a saint for dealing with the opinionated buyer, but halfway through the show, she said something that stopped me cold. She had just shown the buyer a home that was brand new and had everything the buyer wanted. The problem? It was $40, 000 more than the buyer wanted to pay. The ensuing conversation went something like this. These aren’t exact quotes, but you’ll get the idea. Expert: The price on this property is $240, 000. Buyer: What? I definitely can’t afford that! Expert: That’s about $1700 a month, not including insurance and HOA fees. 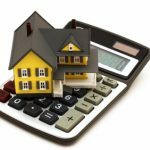 Buyer: The insurance and HOA fees are extra? I really can’t afford that. This is what I want, but I’m not paying that price. Expert: Well, there is another option. We can do a 35 year loan and bring your payments down to $1500 a month. Buyer: That’s just so much money! I can’t take on that much debt! (I was cheering for her at this point). Expert, talking privately to the camera: She’s only thinking about the big number here. She can easily afford the monthly payment. That’s what she should be looking at… Whether or not she can afford the monthly payment. That’s the point at which my jaw dropped open. She shouldn’t consider the total cost? Are you kidding me? I’m no expert, and I don’t own a home yet, but there are a few rules I’m going to stick to when I do buy. When I finally take the plunge to buy a house, I’m going to figure out how much I can easily afford per month. If the bank tells me I can afford to put 30% of my income toward my mortgage payment, but I know I can only fit a payment of 25% into my budget, I’m going to figure out my target price based on what I think. I’ll figure out the approximate amount of insurance, taxes, and any other fees, and work that into the number as well. I’ll also decide what mortgage terms I want. A fixed rate, 15 year mortgage would be ideal. From there, I’ll come up with a target house price. And I won’t look at anything more expensive. Human emotions are powerful, and when we see something we really want, we can often talk ourselves into buying it, even if we can’t really afford it. The amount of credit card debt in this country is indicative of that. I’m not going to put myself into a situation where I might be enticed into making a stupid decision that will cost me for the next 30 years. I couldn’t believe the buyer even walked into that house without knowing how much it cost! She set herself up for disaster. As predicted, she fell in love with the house, and deeply desired to buy it, even though she couldn’t afford it. That made her vulnerable to taking on a less than ideal mortgage. I imagine that’s how many people got caught up in the mortgage crisis we have today. After looking at house #2 (the dream house), the buyer was shown a third house. It was a modern house, like she wanted, but it needed a little work. It was bargain priced at $174, 000 and, for an additional $30k, the buyer could do enough work to bring the house up to her standards. But our naive buyer balked at the thought of doing the work. A tactic that the property expert used on the buyer was to tell her that the properties were flying off the market like hotcakes. She kept stressing that the buyer needed to make a decision quickly, or avoid losing the property. While that may be true, if you’re hesitating about signing on the dotted line for any reason, take time to think it over. It’s better to lose out on a property than to make a $200, 000 mistake. There will always be other properties, but once you buy a house, it’s difficult to undo your mistake. So what did the buyer end up doing? Much to my chagrin, our buyer went with expensive house #2. She negotiated the price down to $233, 000, and she went with a 35 year loan. If it were me, I would have taken house #3 and gotten the same quality of home for $33, 000 less. It just makes better financial sense. The bottom line is, if you’re a new buyer, do your research. Don’t blindly trust the “experts”. Their job is to sell you a house, so they can make a commission. Though I’m sure there are many honest and helpful realtors out there, they do have a financial interest in making a sale. It’s always wise to figure out what’s best for your financial situation on your own, rather than trust someone else to do it for you. Reminds me of those TV infomercials. Every time they come on and say, “You can have this for only $30/month,” I always, ALWAYS, say to myself, “For how many months?” Yeah, it may be only $30/month, but it may be for 300 months, and believe me after paying it every month for about 24 months you’ll feel trapped and wish you could use the money for something else. Just the same for a mortgage…it’s not just the monthly payment. Thanks for weighing in, Jody. There are definitely great real estate agents out there. My husband has had several real estate agent clients over the years, and there’s more than a handful that we’d use in a heartbeat if we were buying a house. As a real estate agent, I cringe when I hear stories of other agents who talk their clients into something that just isn’t good for them. As several people have pointed out, buyer’s should figure out what they can afford, take the time to decide what they NEED in a home (not just what they want), and, if they use a realtor, to get a referral from a friend or family. Believe me, I know that there are many “used car salesman” real estate agents out there, but there are also those of us who really want our clients to be happy. Happy clients = long term customers, and long term customers are what keep us going because they refer friends and family to us. 1.DON’T buy a house beyond your means. 2.If you feel comfortable going without an agent, I say “go for it,” especially if you have bought a home before. Before becoming an agent, I did, (and I see now that I made a few mistake because I didn’t do my homework). Take some time, read some books and learn about important items like underground oil tanks, septic systems, home inspections, the closing process, and seller’s property disclosures. Heck, even if you use an agent, you should look into these things. It may take some time up front, but you will be a much happier buyer in the end. I totally agree with you that you have to look at the big picture too. I recently bought my first house and looked at both the big picture and the monthly payment. I knew what I could afford before I even pre-qualified for my mortgage. I told them how much I wanted and they said I qualified for more. I politely declined their offer for a bigger mortgage. The guy at my mortgage company told me I was smart for not going for more if I knew it wouldn’t work in my budget. Bottom line- only YOU know what you can TRULY afford to pay. Just because you qualify for more doesn’t mean you have to use it. I also agree with the “don’t look at it until you know what it cost”. I looked at a smaller house than the one I purchased because that is what I could afford. After negotiating with the builder down to MY price on a bigger house THEN I took a look at it. No sense setting yourself up for heartbreak when you can’t have what you want. I’m pleased as punch with my purchase and have adjusted nicely to my new mortgage payments. When I heard that banks in Canada were no offering 40 year zero money down mortgages I told my Dad it was time to buy bank stocks as those things are hugly profitable for the banks. It makes only a small difference on the payment but a huge difference in the amount of interest paid. The idea was to help 1st time home buyers but all it did was push prices up. The “only think about what payment you can afford” pitch is pretty typical around here. Of course, if you thought about the facts that an ordinary car costs more than your parents paid for their palatial ranch house and a 2008 house costs more than the GNP of some countries, you would run out the Realtor’s door as fast as your little legs can carry you! The assumption today is that most people will never be out of debt: that a mortgage payment consuming half or more of your net income is as natural as the air we breathe. If that’s true, it doesn’t matter how much the house costs, because you’re not planning to pay it off. All you need to know is how much the monthly payment is; the payment is actually rent. In effect, you rent your dwelling from a lender, and you always will. The only way you can ever hope to own a house outright and someday get out from under the crushing weight of mortgage payments — which, believe me, young’uns, you WON’T be able to afford in retirement! — is to buy a house whose price is within reach. Not whose monthly payments are theoretically within reach. Like others, I’ve also found there are some great real estate agents and some who do nothing more than you can do yourself. When I look at houses seriously (permanent past tense, maybe?? ), I give the Realtor a buying price significantly less than I really can afford, because in my experience even the best of them will take you only to houses costing somewhat more than you want to pay. That said, I wouldn’t think of signing a purchase contract or a mortgage agreement without an experienced Realtor or a contract lawyer at my elbow. These are complicated legal documents that commit you to obligations you need to understand fully before you agree to them. It’s sad to me how similar some people’s thought processes are when shopping for fancy shoes, and when buying a 6-digit investment, a house. I have not seen the show, but I think it is terrible the “expert” would recommend the buyer going into more debt than initially planned just to make a sale!! And do it on TV no less! Just so terrible. I think first time buyers should not only look at monthly payments, and the potential for those to go up due to tax increases, HOA fees, etc., but they should also look at the big picture-how much debt are they REALLY taking on? Your points are right on target! @Heidi – I definitely agree that there are good real estate agents out there, and when we finally buy a house, I’m sure we’ll use one. Most likely someone a friend recommends. But we will still keep in mind that they have something to gain buy selling us a house. @Gabby – You make a good point. Buyers can definitely have unrealistic expectations. Unfortunately a lot of first time buyers want the kind of house it took their parents 30 years to afford. @Braunn – I place most of the blame on the mortgage meltdown on the lenders. They had to have known most of the people with high risk mortgages would end up defaulting. @Ernesto – Immediate gratification is certainly a problem. I’m not sure who I’m the most perplexed by, the buyers agent who didn’t even get 3% knocked off the asking price or the spoiled buyer who wants everything in their first home. The first house I ever bought (20+ years ago) we had to cough up 20% down so all we could afford was a handyman’s special. After $15K in materials and countless weekends (and vacations) spent working on the place, it was presentable and we sold it, made a profit and bought a better place. These people who want more in a first home than people used to get in a second or third home kill me. All for no money down. And then if somehow they can’t afford their perfect first house, let’s lobby congress for a taxpayer bailout. Unfortunately, most first time home buyers (and many others who may have been through it before) look at Real Estate Agents as professional experts rather than as salesmen. They trust the advice they are given by these ‘experts’, often to their detriment. Can you say -Subprime Meltdown-? @Debbie – any time we have been ‘browsing’ we’ve always had the same experience. We say, we don’t want to spend more than X. They take X as the starting point. Anyone I know personally has described the same thing unless/until they absolutely put their foot down. I don’t have a lot of sympathy for the ‘businesses’ that got caught in the middle while they were trying to Flip This House. But, I think it’s just wrong that people are finding themselves on the street facing foreclosure and/or bankruptcy because they trusted these Professionals…these Experts. And the banks, themselves, were more than willing to go along with these inflated values and predatory lending practices just to make a buck. And now they want the taxpayers to bail them out! COUNTER-POINT is that new buyers often have quite unrealistic expectations about what they will get for the amount of money they want to spend. Around here, you can either be opinionated about what you want, OR cheap–but not both at the same time. Interesting article. I just bought my first place about 6 months ago. I agree with your philosophy in general, but I’d also say that things that are “sales tactic-ish” can also be honest advice. I was going back and forth over a place that I saw that was a steal for the price (having looked a LOT) but was a bit higher than i wanted, but otherwise perfect. I eventually decided to make an offer, but by then the place was sold, and the seller did deal the price down pretty close to my range. That doesn’t mean you should rush in, as the place I ended up in I enjoy very much, but it does go to show you that just because advice CAN be a gimmick to get you to buy doesn’t mean it actually is, especially for an attractive property at an attractive price. I would hate for folks to suddenly feel their agent is cheating them if they hear that advice. Oh my gosh, real estate agents do that on TV all the time! I like watching those types of shows on HGTV, and I swear, so many houses are way above the buyer’s established budget. How dare they show them houses they cannot afford! I guess it means a higher commission for the agent. Ya just gotta remember that the realtor isn’t paying the mortgage–you are. Our realtor had us get pre-approved for a mortgage so we knew how much we could get approved for, and then she looked for houses only in the range where WE wanted to spend, which was less than that amount. She did tell us that we would be able to afford more house if we expanded our search area to a few other town, and that was wise advice for sure! I think the moral of the story is not to deal with a television show, deal with a realtor that a friend used and had an excellent experience with. Realtors depend on referrals. I’d recommend not even telling the agent how much you feel you can afford. They never, never want to show you cheaper places because then they get lower commissions. I wish I could bargain for a commission that got higher as the price got lower! Anyway, start with a lower amount, at least 10% lower, maybe 25% low. See what’s available at that price. You might like something. If not, move up. My agent showed me only things at or above my maximum price. I assumed at the time that it was because I couldn’t afford much. (My house cost only 50% of the median price at the time!) But it might be true for most people. I agree with Llama Money: smaller is better, especially if you’re a single woman. I bought my first house when I was single and it was a lot of work to maintain alone! Remember that everything (heat, repairs, etc.) costs more with a bigger house. This expert was horrible, by the way. Sounds like a typical car dealer – “Only the monthly payment matters, ignore everything else”. But for what it’s worth, I would have ignored the third house as well. I’m not interested in doing $30k in upgrades / repairs to a home… not only do you set yourself up for going massively overbudget.. but you’ll have to be there at the home while the repairs are being done. If you have full-time job ( which I’m assuming that this woman does ), that could be quite tricky. Time off work is expensive, and adds even more to the cost of the work. Me? I’ll take a house in top-notch condition, even if that means I have to settle for a smaller place. Agree – one should learn to be firm about how much one wants to spend. Personally, what I liked when looking for a place was to see the printout from the multiple listings showing everything about the property – asking price, taxes, common charges (I was buying a condo – single and live in one of the most expensive counties in the US) , number of bedrooms, type of heat (electic – $$$; gas better than oil), etc. This way I could immediately decide if I want to see it or not. I didn’t want to waste my time; I also didn’t want to fall in love with the property only not to be able to afford it. One place I looked it was a house and a good deal – the owner was a divorced woman and needed to sell – but it had electric heat. The agent kept telling me it was nothing, so I called the electric company and asked for the average monthly heating bill for the owners in the preceding two years. They didn’t mind giving it to me. After I factored it in, it was about as much as extra 20K in mortgage, so I said no. Ended up buying a place by owner, got a great deal to. Here is another thing – it’s good to have an agent (although I don’t really like the current “paid buyer’s agent” thing), but one shouldn’t ignore properties sold by owner, so browsing local ads is useful. Sometimes real estate agents do it themselves, then they bring customers to the property sold by owner without telling their clients and charge the owner 3%. As a result the owner isn’t likely to go down much, at least if she isn’t desperate. I encountered this situation twice – once the agent tried to show me the property sold by owner (that I’d visited before) and once the agent contacted me when I was selling by owner. This was at the time of a hot seller’s market in early 2000s, so I immediately asked the agent what it would cost me. She told me – 3%, so I replied that any offer her clients give me should be at least 3% higher than anything I receive on my own. Ended up selling on my own – the agent failed to explain to her client that this was a seller’s market and they could only bid up, not down as there were bidding wars at the time with offers at and above asking price. Now it is different, but it is still worthwhile not to limit oneself to just an agent. Even if it is an agent paid by buyer who isn’t charging the seller, I’d still look on my own as well just in case. Back to the price. In addition to how much one can afford, there is also how much one is willing to spend. A cheaper place allows one to have more spending money for other things. Different people have different priorities, and it is absolutelly wrong to try to convince someone to spend more than what one is willing to spend. Here is Westchester, NY 200K will get you a one bedroom co-op (177K – last ad I saw). You’ll have some money left, but 200k wouldn’t be enough for a two bedroom co-op; certainly not enough for a one bedroom condo. The median house price last year was around 640K, surprisingly up from 630K a year ago. I do think the prices will come down, though, because this is just ridiculous. Not that it affects me, but for the first time buyers it is tough. I’m so glad I’m not the only one who thinks this show is nuts. @Ron – I think you’re absolutely right that she represents what’s gone wrong with the lending process. When it’s all about the immediate buck, there will be long term ramifications. You have to look at the big picture. You’re right. The expert may believe she can afford more, but the expert also isn’t the one who will be paying for it! I think that was a real scummy thing to do to that lady – to pressure her into buying a property she didn’t want to have to pay for. 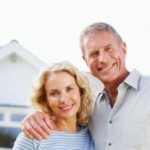 When the property virgins show first started airing, my wife and I were in the middle of looking for our new home. It was my second home purchase and my wife’s first. We had been watching the “My First Place” show for some time and we thought this new show would be fun and possibly worthwhile to watch, so we started DVR’ing it. After the first couple of episodes, I couldn’t stand it anymore. People looking at homes without even knowing the prices. The agent pushing them into a hurried decision because “this one won’t be available for long”. Not to mention the complete farce of only looking at 3 to 4 homes before you buy. I my opinion, SHE represents what’s gone wrong with the sub-prime lending crisis we’re experiencing. Well of course she has to be able to afford the monthly payment, there would be a problem if she couldn’t, but the big picture is so important too. The big picture has to do with how many months she’ll be making that monthly payment, which is quite important! (3) hired a great real estate agent who only showed me houses that were in my price range. My realtor told me that I would need to change my price range or change the neighborhoods that I was interested in before he would step outside those ‘boxes’. I’m not a hug fan of paying realtor fees now that I know what I’m doing and know that 90% of the info. a realtor gives you is already available, but I still recommend good realtors to first time buyers. I know this is a thing that varies by region, but you could potentially get a much too large house for a single woman for $200k here!